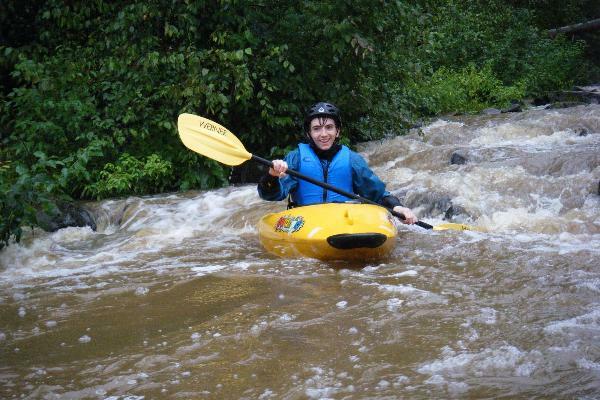 Experience adventure with True Adventure Sports and T.A.S. 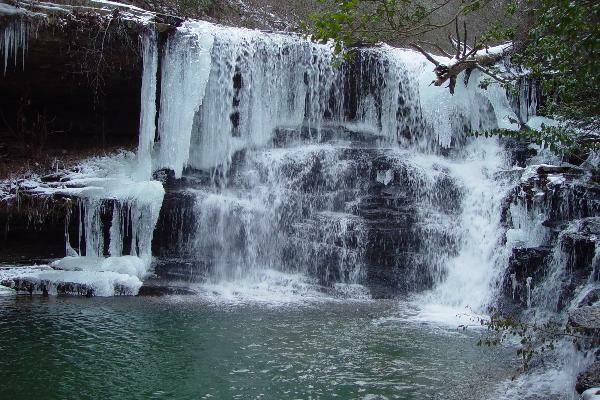 Guide Service located one mile from Little River Canyon National Preserve in Northeast Alabama just 45 minutes from dowtown Chattanooga. Our guided trips are designed to fit the needs of individuals or groups. We offer different packages based upon age, group size, and ability. 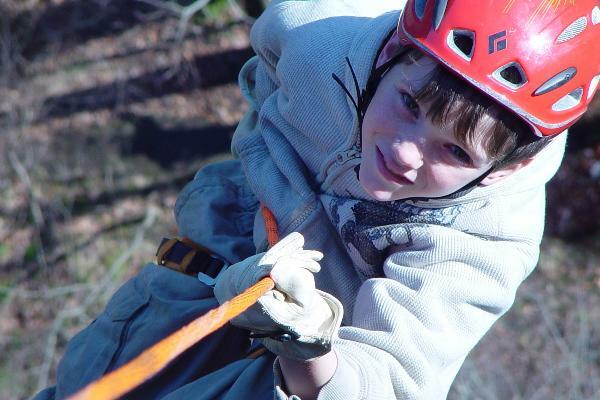 Our guided trips include: rappelling, rock climbing, canoeing, kayaking, backpacking, extreme night hikes, mountain biking, wild cave tours, zip lines, camping, and moped rentals. 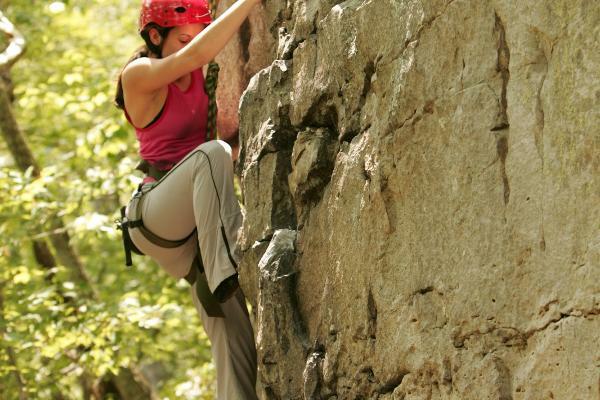 We offer certification-training classes in rappelling, rock climbing, orienteering, GPS navigation, and outdoor survival. 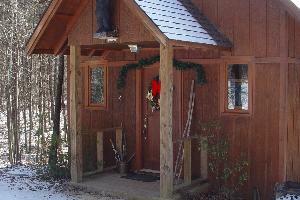 We also offer Chalets, Cabins, and Camp Sites. 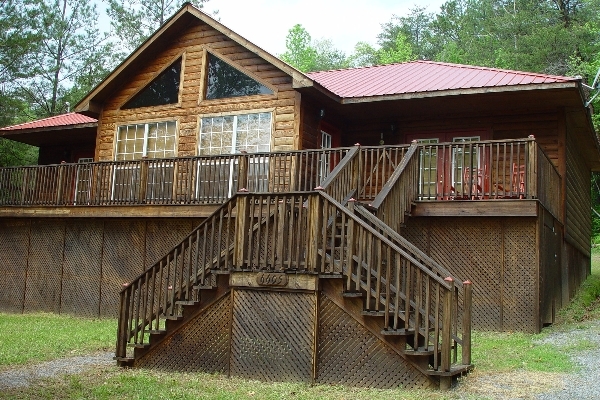 The Refuge is a luxurious cabin with 3 bedrooms (each with a queen sized bed), 2 full bathrooms, and an extra large living room with beautiful bay windows and cozy fireplace. 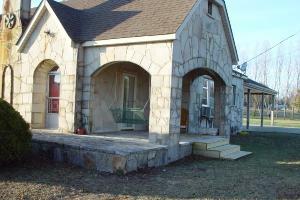 The Rock House is a great chance to getaway with the feel of home. 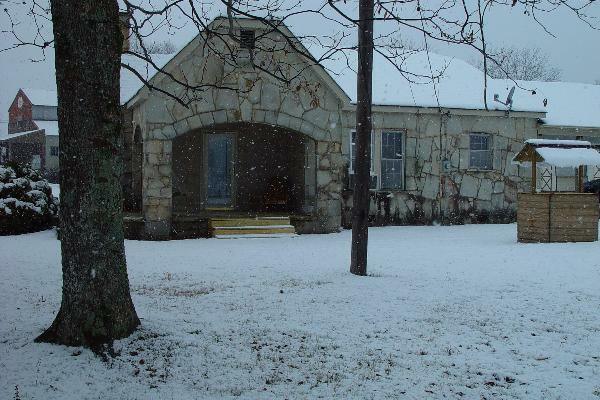 Built in the 1930s the sandstone walls ring of history while offering the amenities of modern life. 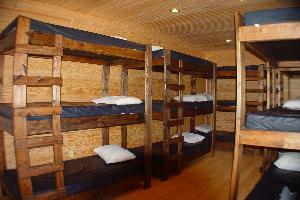 The dorms are a great choice for large groups. 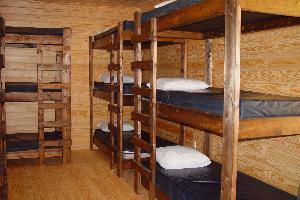 Each dorm is a large bunk room that sleeps 15 people each. There is a Group bath house also on site that makes it easy for clean up. T.A.S. T.A.S. 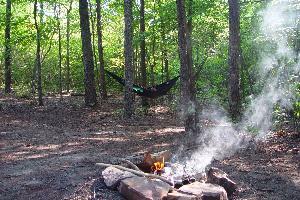 has primitive campsites off of Little River Canyon. These sites allow up to 8 people or 2 tents per site and one vehicle. If you have a more than one vehicle, the cost is $2 for every extra vehicle. T.A.S. also has group campsites that can sleep up to 24 people at a time and 4 vehicles. If there are more than 4 vehicles, the cost is $2 per vehicle. 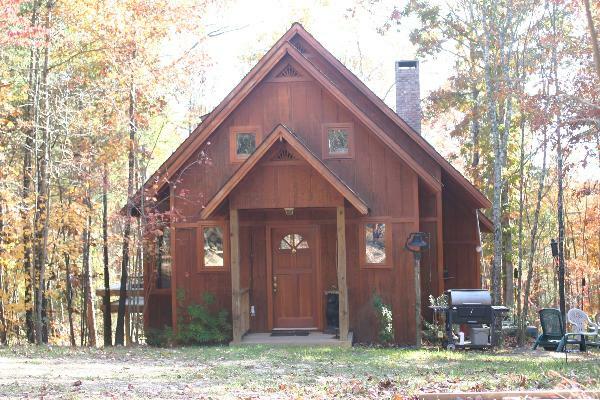 The Three Gables - Hide away in this cozy cabin that offers 3 bedrooms (sleeping 6 adults comfortably), 2 baths, large deck, wood fireplace, hot tub, charcoal grill, outdoor fire ring, telescope, private upper deck, satellite tv, high speed internet/wifi, dishwasher, and a washer & dryer . T.A.S. 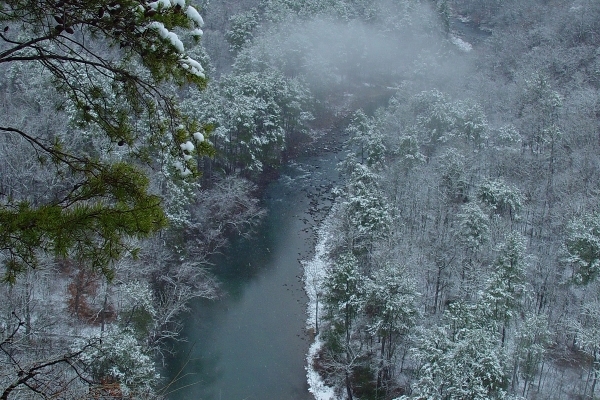 has primitive campsites off of Little River Canyon. 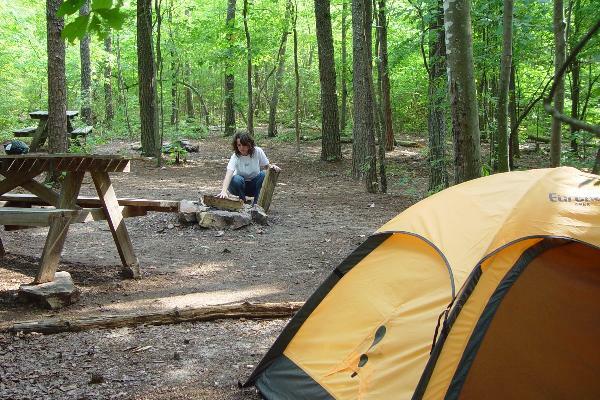 These sites are just $5 per night and allow up to 8 people or 2 tents per site and one vehicle. If you have a more than one vehicle, the cost is $2 for every extra vehicle. 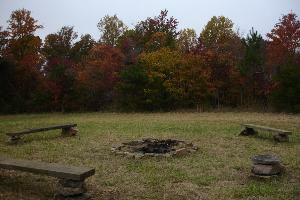 There is city water, an outhouse, fire ring, and picnic table available for use on the grounds. T.A.S. also has a group campsite that can sleep up to 24 people at a time. 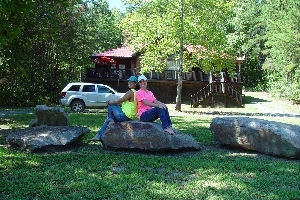 The group campsite rate is $15 per night and that price is good up to 4 vehicles. If there are more than 4 vehicles, the cost is $2 per vehicle. There is also city water, a fire ring, outhouse, and benches available for your use. Little River Canyon Preserve, DeSoto State Park, Weiss Lake, Welsh Caves, Rock Climbing, Rappelling, Fishing, Hiking, Canoeing/Kayaking with up to category 5 rapids. 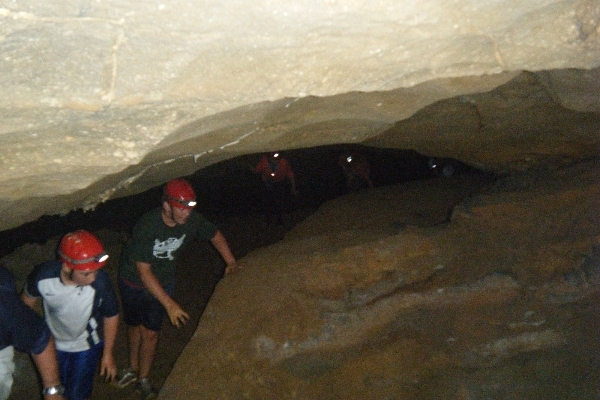 Also largest concentration of caves in the southeast. When booking lodging through True Adventure Sports, a minimum of one night stay will be required as a deposit (Non-Refundable). Should True Adventure Sports (TAS), for any reason, cancel a lodging reservation, the amount paid in as a deposit will be refunded in full. Cancellations made by customer(s) for any reservation made with True Adventure Sports (TAS) at least 48 hours prior to the reservation date(s) do not require the customer to pay any additional amount due to their cancellation. Cancellations by customer(s) anytime within the window of 48 hours results in a loss of the total reservation amount and is due upon cancellation. True Adventure Sports (TAS) reserves the right to charge the card on file provided by the customer for the remaining amount due. Acceptable notification of cancellation is; an e-mail sent before the deadline(s) to info@trueadventuresports.com or a call to one of our representatives during normal business hours prior to the deadline. If you have any questions regarding the policies listed above please call us at 256.997.9577 or email info@trueadventuresports.com. Any refunds from True Adventure Sports (TAS) will be paid by check only which will be mailed and postmarked within 14 business days of the cancellation date.